We are very excited to welcome novelist, short-story writer and essayist Alison MacLeod to Steyning for the first time. She will speak at The Gluck Studio in Steyning at 7.30 pm on Thursday 30th March. 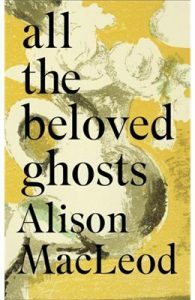 Alison is Professor of Contemporary Fiction at Chichester University and is a novelist, short story writer and essayist. Her novel The Unexploded was long-listed for the 2013 Man-Booker Prize and selected as one of The Observer’s ‘Books of the Year’. Her latest book is a wonderful short story collection, showing her at the height of her storytelling powers, taking us into history, literature and the hidden lives of iconic figures……In 1920s Nova Scotia, as winter begins to thaw, a woman emerges from mourning and wears a new fur coat to a dance that will change everything. A teenager searches for his lover on a charged summer evening in 2011, as around him London erupts in anger. A cardiac specialist lingers on the edge of consciousness as he awaits a new heart – and is transported to an attic room half a century ago. In an ancient Yorkshire churchyard, the author visits Sylvia Plath’s grave and makes an unexpected connection across time. On a trip to Brighton, reluctant jihadists face the ultimate spiritual test, and at Charleston, Angelica Garnett, child of the Bloomsbury Group, is overcome by the past, all the beloved ghosts that spring to life before her eyes. Alison will be interviewed by Zoe Gilbert, who is a perfect choice for this role. 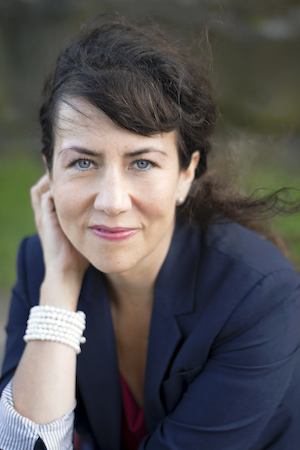 Zoe is the winner of the Costa Short Story Award 2014 and her work has appeared in numerous anthologies and journals. She is working on a PhD in Fiction and Creative Writing at the University of Chichester, focusing on the influence of folk tales on contemporary short stories and Bloomsbury will be publishing an anthology of her work in 2018. She chairs the Short Story Critique Group at Waterstones Piccadilly and co-hosts the Short Story Club at the Word Factory. She is also the co-founder of London Lit Lab, providing creative writing courses for Londoners. Tickets available from the shop!